Welcome to our NEW Apprentices! A big welcome to Chloe and Kate our NEW apprentices who started with us at the beginning of August. The two girls will be ‘earning while they are learning’ alongside the JM Team. They will qualify in approximately 18 months to 2 years. 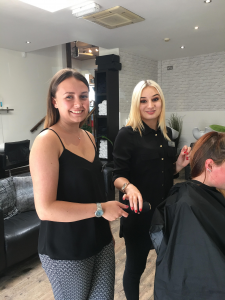 This is an exiting time for the girls as they have both always dreamed of being hairdressers and with a lot of hard work and support from JM Hairdressing this can be turned into reality! Good Luck to both of you. 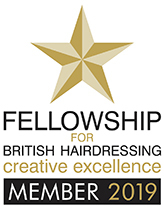 If a career in hairdressing is for you then please contact us on 01474 534455!